Metaphysical Christianity and Evangelical Christianity are two ends of a continuum in Christian history and theology. One is focused on the person of Jesus and the adoration of his divinity, the other is focused on the Christ within, and the calling, in the words of Jesus, to love as he loved and to do the works that he did. The leading scholar of metaphysical religion today writes, "metaphysical religion ... is at least as important as evangelicalism in fathoming the shape and scope of American religious history." It may be claimed that the success of the Unity movement over time, compared to other branches of New Thought, is due to Charles Fillmore's insistence on what he called the "Jesus Christ Standard." 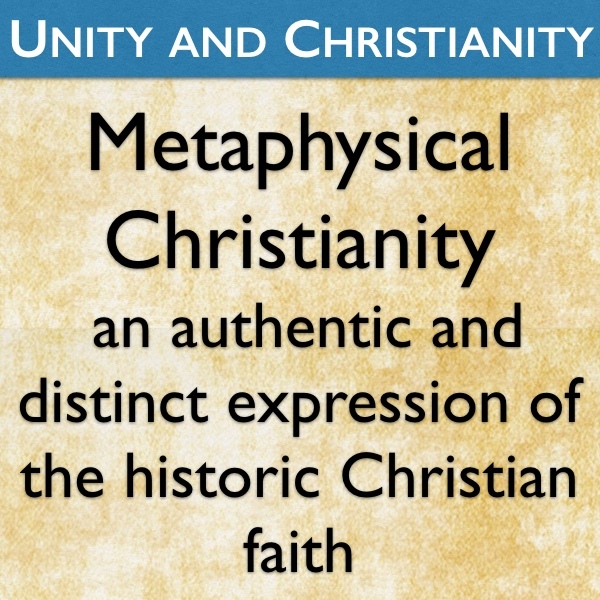 The only other metaphysical movement in America that was as successful as Unity was Mary Baker Eddy's Christian Science. Unity and Christian Science were the two metaphysical movements which claimed and defended their rightful place as authentic and distinct expressions of the Christian tradition. And they were, over time, the most successful. This is also true today. The 50-75% of Americans who have dropped out of church are not dropping out of Christianity. They are just looking for a better story and a better way to practice their Christian faith. It is difficult or perhaps impossible to distance Unity from Christianity without distancing Unity from the foundational teachings of the Fillmores. How are we to be open to the best of metaphysical religion without diluting the foundational teachings of the Fillmores with New Age? Having said that, how do we proclaim ourselves part of the historic Christian church without associating our theology with blood-atonement orthodox theology? These are difficult questions. This page and the resources linked here attempt to answer these questions.